Dr. Melton is the second most prolific contributor to the Encyclopædia Britannica. J. Gordon Melton is the Distinguished Professor of American Religious History at the Institute for Studies of Religion, Baylor University, and the Director of the Institute for the Study of American Religion also based in Waco, Texas. 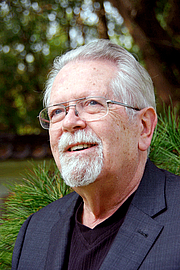 He is the author of more than 35 books, the great majority reference works or scholarly texts in American religious history, including the "Encyclopedia of American Religions" (eighth edition, 2009), and most recently "Religious Celebrations: An Encyclopedia of Holidays, Festivals, Solemn Observances and Spiritual Commemorations" (2011). He has also written several reference books in Dracula and vampire studies including the award winning "The Vampire Book: The Encyclopedia of the Undead" (third edition 2010). J. Gordon Melton is currently considered a "single author." If one or more works are by a distinct, homonymous authors, go ahead and split the author. J. Gordon Melton is composed of 9 names. You can examine and separate out names.